These units are not synthesized. They use crystals for the RF frequency and use Vibrasponder reeds for tone selection. There is nothing programmable about it. Inside the case they all have in common two boards, the RF board, and the audio board. 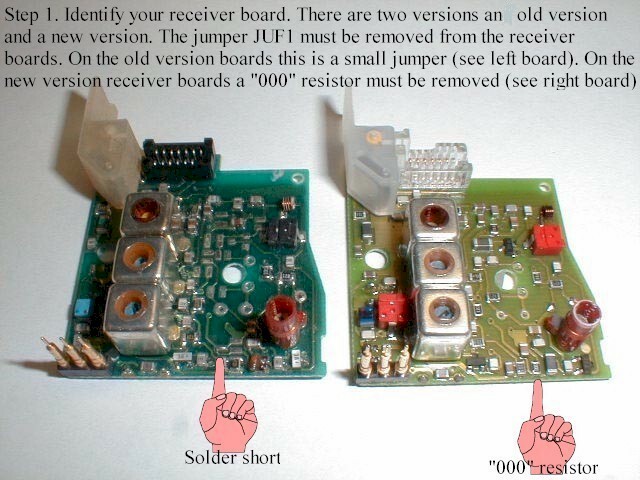 Obviously the RF boards are band specific, and come in low band, highband, and UHF models. Generally speaking you can move these radios throughout their entire band although you may need to remove the ferrites and replace them with brass set screws if you are moving them upward in frequency past their design limits. The audio boards come in four flavors; carier squelch only, PL only (RARE),four tone and carrier (EXTREMELY RARE), and two tone and carrier. The latter is by far the most common. The Vibrasonder reeds can have their decode frequency changed by adding a bit of solder to lower the frequency and shave off a bit to raise the frequency. With a 'scope on one of the three pins of the reed (not sure which one it is) inject the tone you wish to decode into the receiver and tune the reed for max output. In 2 tone mode, they can decode 2 sequences with one common tone. Jumpers can be strapped to select which fequency is used in alert mode (there is a 3 pos switch, mon 1, mon 2, alert). The Minitor I pager also comes in a 2-tone model that does not have the selector switch for monitor/alert. Just a "bare bones" two-tone alert. The rubber gasket that covers the top of the pager under the metal frame has a hole for the switch, but underneath it is just a transistor and a few jumpers in the area of where the switch is supposed to be. This is actually a Motorola Director pager, its model number is CA03EAB2468AA. It was designed as an EMS/wide area tone and voice pager and was used in many markets. There is also a Director II model A03XKC2468AA or A03ZVC2468AA for stored voice model. These pagers are fairly common with the fire dept's in Ontario since many FD's use shared channels. There was a separate board that went into the section that usually held the reeds that gave the Minitor I carrier squelch capability. You could not have selective call and carrier squelch in the same radio. In a Minitor I, the reeds are right next to the battery compartment. The reed closest to the batteries is A tone and the reed next closest to the speaker is the B tone. These units are not synthesized. They use crystals for the RF frequency and a Perma-Code active filter for the decode frequency. To identify which reed is which in the Minitor II, take the case off, and hold it with the reeds (or spaces for) facing you with the control knobs facing away. The tones go from left to right; slot 1-A tone, slot 2-B tone, slot 3-C tone. They have the option for a second channel, and the signalling is programmable (at least in later models). There is no option to do a PL squelch. Table 1 gives the jumper arrangement for the standard model, and Table 2 for the different options. 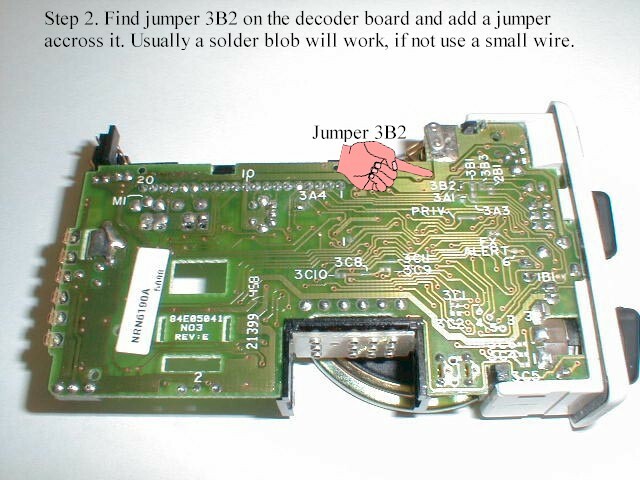 The jumper connections referred to in the tables are located on the Decoder and Squelch Circuit Board, unless noted with an asterisk (*). *Located on RF Circuit Board. Here are the Jumper and Test Point locations for the Minitor II. Minitor IISV are the Stored Voice pagers. The quanity and length of the message are determined my SMT jumpers. Take a look at this chart to see how to set it up. Table 1 lists the alert-mode tone-code sets available. The standard monitor is supplied with tone-code set 4 (A-B interrupt alert). The other tone-code sets are options. Monitors equipped with the On-Duty/Off-Duty option use a tone-code set that includes tone C: Set 1, 2, 3, 5, 7, 8, or 9. In the On-Duty mode, the monitor responds to all the tone codes in the selected tone set. In the Off-Duty mode, the monitor does not respond to any code that contains a C tone, but does respond to all other codes in the selected set. Tables 2 through 4 list the jumper connections for the tone code sets and for the standard and optional features. *Require jumper cuts to remove. Here are the Jumper locations for the Minitor IISV. The pinout of the connector on the bottom of the Minitor II is as follows. The contacts are numbered with #1 being closest to the battery. 5) Audio out. This is not speaker level audio, it is used as audio feed to charger amp. Normally at 0 volts ac / 0 volts dc, switches to .7 volts p-p ac/ .7 volts dc when pager is active. This output is not affected by the volume control and is not active during pagers power up or alert beeps. Not affected by 'audio disable' contact. 6) Alert out. This contact switches 'high' ( 2.5 volts dc ) when the pager is alerting. Stays high as long as pager is beeping. Does not switch high on power up beep. Used for charger "alert" lamp. For reference that set of connections is referred to as J401, and Pin 1 is located directly under the screw. They make a unit which uses very little power and offers a wide variety of scanning options, including scanning one or both channels for your paging call only. They also manufacture a "voicebox" module for the Maxtrac that installs inside the radio, and offers "radio voicemail" and simplex repeater functions. Addition information about the Minitor II should be found in the 68P81042C50-A service manual, including possibly a way to make the unit Carrier Squelched. You can add the second channel option to the Minitor II quite easily. The two frequencies should not be more than 3 MHz apart to meet published specs. 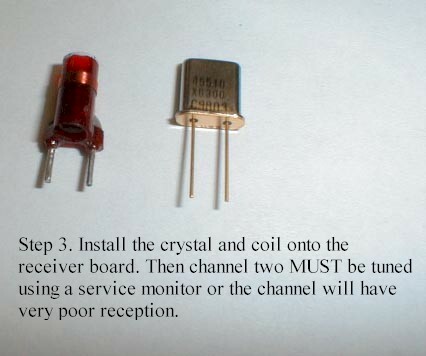 You will need to order a crystal from any of the crystal manufacturers, you will also need to order another tuning coil to peak the crystal (from Motorola). See the service manual for the part number of the tuning coil for your application. Once you have the parts, its just a matter of following Step 1, Step 2, and Step 3.
select the time duration of the relay contact closure. These are fully synthesized and programmable for frequency and two tone signaling. But, as with the II, it has no option for PL. They also have options for scan, multiple codes, and vibrate. Supposedly the III has a worse receiver than that of the II. You need a Universal Programming Interface NLN3548A (see the schematics for this box here). You also may want to try building this interface instead. It supposedly is a bit simpler and works just fine. You also need NYN8358A which is a programming stand that plugs into the UPI. Comes with the RSS (rather poorly written software). The part number for the service manual is 68-81033B55. It doesn't have any schematics, just alignment info and case parts. Looking at the back of the programming base, the RJ-11 style plug has the contacts on the top of the jack. Label these contacts from left to right a,b,c,d. Inside the programming base 3 pins of 6 are used (they are labeled 1-6). a->3, b->1, c->5. To place the pager into "programming" mode, place the selector switch into position "C" (or position "B" on a 2 position switch), turn off the power, press and hold the reset button, turn on the power, a loud, shrill tone will emit, release the button, and insert into the programming stand. Put the pager into the cradle and the light on the UPI will light. When you have finished programming, cycle the power on the pager. There is an return program for certain Minitor III's (two frequency and stored voice models), and the information can be found at http://www.mot.com/MIMS/MSPG/Products/Voice/minitor3. Alternately, you can find this info by going to the Motorola website and going to paging products and looking up Voice and then Minitor 3. Do you need to adjust the squelch on the Minitor III? Well, here is an excerpt from the manual on the squelch adjustment procedure. As far as out of band information goes, on the 151-159 MHz units, the RSS allows you to program 595 KHz beyond the lower and upper bandsplit limits. If you need to go further, read on. If you open the M3.EXE file in a hex editor, you should find the bandsplits for each model starting at address 1A600h. If not, they should be close by. You should be able to see them on the text side, as they are stored in ASCII. Just type in the new value you want and save the file. There is also a checksum in the .dat file. It is a two byte value stored at 2E9h, with 2E9=msd and 2EA=lsd. If you increase any msd ASCII value by 1, increase the value at 2E9h by 1. If you increase any lsd ASCII value by 1, increase the value at 2EAh by 1. The software will still think the pager is 1 channel, but the channel 2 info is still there, and gets programmed into the pager. You will be able to read and program the pager fine, but if you want to make changes to the channel 2 info, you will have to modify the .dat to allow the RSS to edit the fields again. continental US or Canada has these failure rates. I find this hard to believe. It sounds like the Minitor IV is really a Minitor III in a slightly different case, with some of the Minitor III issues fixed. This is evidenced by some of the boards in the Minitor IV having Minitor III printed on them. In this case, the mods for the Minitor III RSS and codeplug should be very similar for use on the Minitor IV. H Minitor Series 3 VHF Band 1212A Minitor Two-tone 1 Ch. 4 UHF Band 1222AC Two-tone Seq. Minitor 2 Ch.